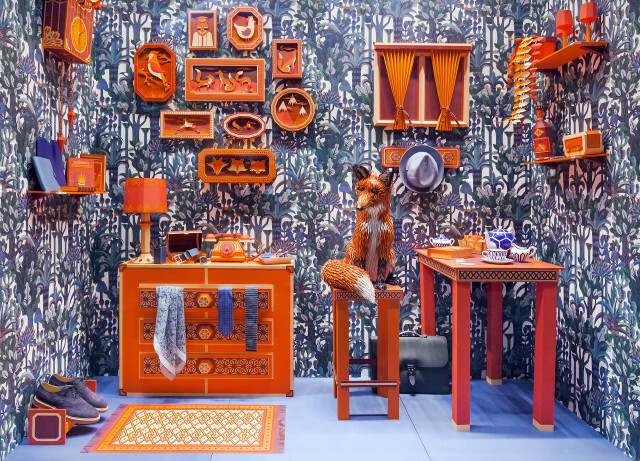 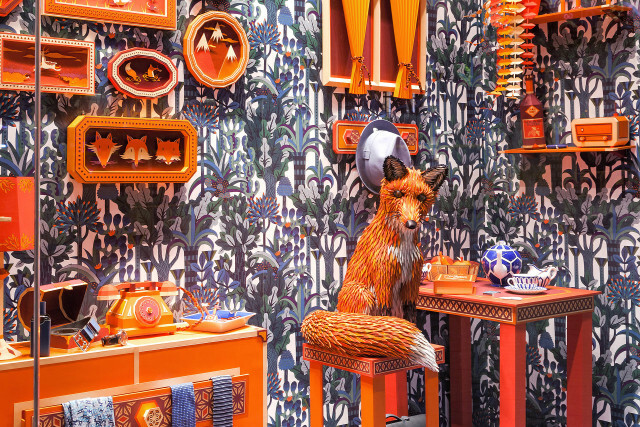 A red fox handcrafted from leather poses amidst a room of papercraft household objects in this delightful window display by Lucie Thomas and Thibault Zimmermann of French art duo Zim&Zou. 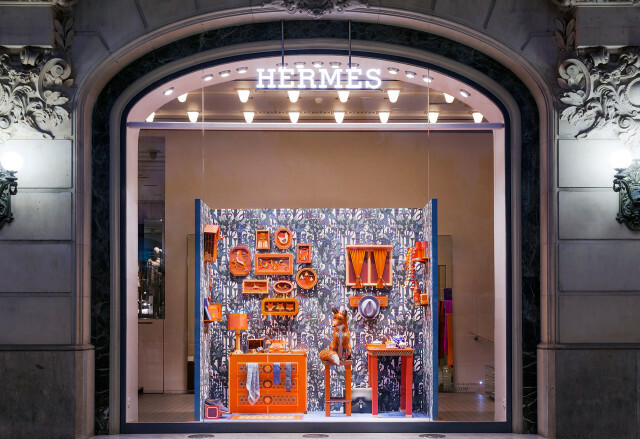 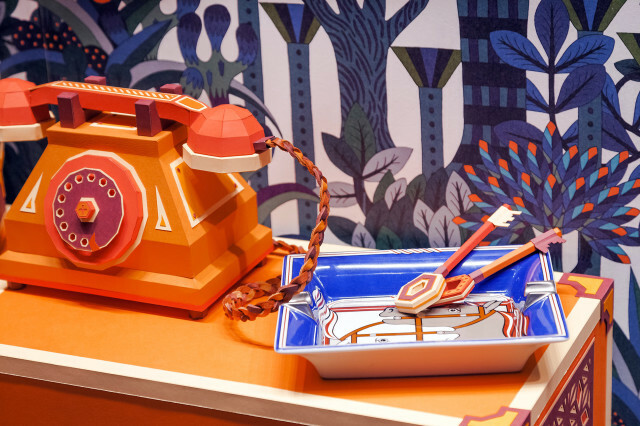 The display was created for a Hermès store in Barcelona. 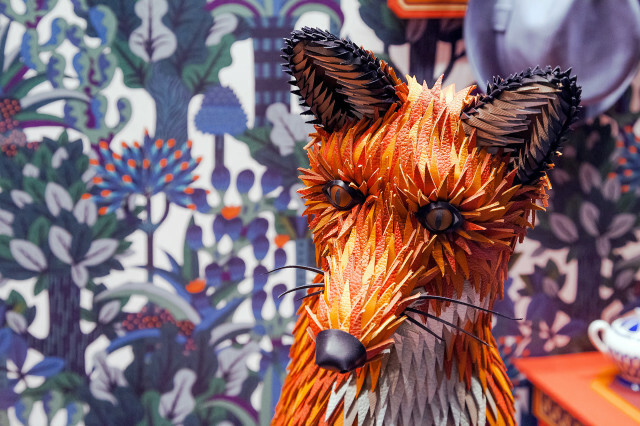 For more wonderful papercraft art, see our previous coverage of Zim&Zou.